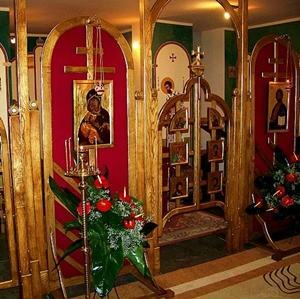 The Bulgarian Byzantine Catholic Church is a Church sui iuris of Eparchial status, but is presently organized as an Apostolic Exarchate. 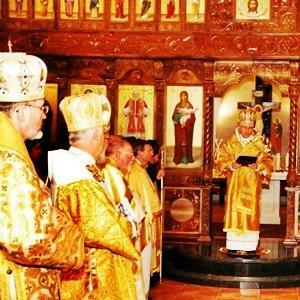 The Church's origins trace to the mid-nineteenth century and were a reaction by the Bulgarian Orthodox to hellenization, attributed to being a dependent constituency of Constantinople. Some among them were of the opinion that communion with Rome might allow restoration of their historical ecclesial praxis and tradition - something which they despaired of achieving under Constantinople's aegis. Thus, in 1861, several prominent Orthodox clergy traveled to Rome, where they found a willing audience. At the conclusion of the talks, union was effected and Archimandrite Joseph Sokolsky, who led the delegation, was ordained Archbishop for Bulgarian Byzantine Catholics, but his tenure was short-lived. Within months, he was spirited off to a monastery in Kyiv, where he remained imprisoned until his repose, almost two decades later. The numbers of faithful who followed their clergy into communion were reasonably significant, however, as the nationalism that had spurred the movement was still strong. Thus, the blow to the Church's hierarchical structure, with the loss of Archbishop Joseph, did not have any lasting adverse consequences. For the remainder of the decade, however, the Russian Czarist government used its close ties with the Ottoman Empire to lobby strongly for establishment of a distinct Bulgarian Orthodox Church. 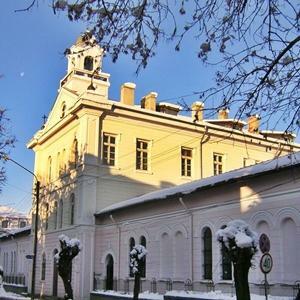 Finally, in 1870, the Patriarchate of Constantinople bowed to pressure from the Sultan and erected an Exarchate for the Bulgarian Orthodox. With the attainment of this mark of at least quasi-ecclesial independence, a driving consideration for having embraced union with Rome disappeared and, by the turn of the twentieth century, a significant majority of former Bulgarian Byzantine Catholics had reverted to their Orthodox origins. The Byzantine Archbishopric was retained as a title throughout this period but the jurisdiction itself was downgraded to an Apostolic Administration, sited in Constantinople. 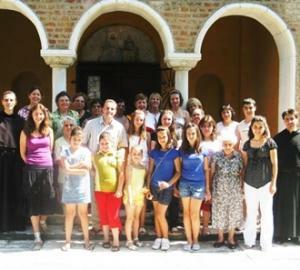 In 1883, Apostolic Vicariates were erected in Macedonia and Thrace, where the majority of the remaining Bulgarian Uniates lived until they were forced to flee to Bulgaria proper as refugees during the Balkan War of 1912. That migration, subsequently, dictated a reorganization of the Church's canonical structure, as its faithful were now principally in one place. 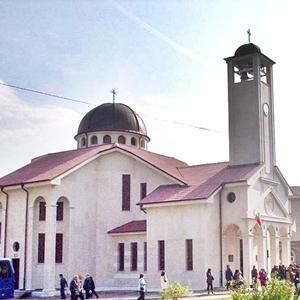 The present-day Bulgarian Byzantine Catholic Church can be dated from 1926, when Rome suppressed the various hierarchical structures referenced above and erected the Apostolic Exarchate of Sophia of the Bulgarians. From at least the mid-1940s, the Church suffered severe persecution under Communist rule although it was never officially civilly suppressed. The Church's status cannot be said to have been regularized until the fall of the Soviet East European Bloc, although its situation eased somewhat during and after the reign of Pope John XXIII, who had served as Nuncio to Bulgaria for a decade in the twenties and thirties and whose continued concern for its people brought some pressure to bear on the government. 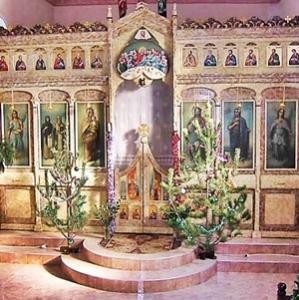 The Church formerly had a presence in Rome, in the person of a resident procurator, who maintained a chapel there. Reportedly, two mission stations once existed in the United States and were pastorally visited annually by the procurator, but there are no details known regarding these. The Church currently has no organized presence in the diaspora. 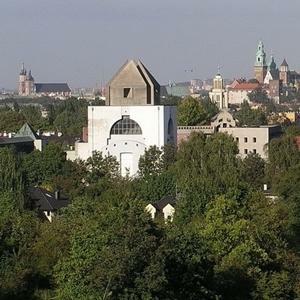 There is, however, a chapel of the Church in Kracow, Poland, at the seminary of the Congregation of the Resurrection of Our Lord Jesus Christ (the Resurrectionist Fathers). A photograph of Blessed Father Kamen Vitchev, AA, accompanies the link to listings for this Church. Blessed Father Kamen, a Bulgarian Byzantine Catholic priest of the Augustinian Fathers of the Assumption, was arrested by the Communists on 4 July 1952 and convicted on 3 October 1952 of espionage and spying for the Vatican. On 11 November 1952, at Sofia Prison, he was martyred in odium fidei by firing squad, together with Blessed Fathers Josaphat Shishkov and Paul Djidjov, (Latin) Augustinian Assumptionists, and Blessed Eugene Bosilkov, CP, Latin Bishop of Nikopol. He was beatified on 26 May 2002; his Cause for Canonization is pending. Photograph: Servant of God Archbishop Joseph Sokolski, Proto-Hierarch of the Bulgarian Byzantine Catholic Church, kidnapped in 1861 and imprisoned in a monastery at Kiev, where he remained until his death, in 1879, under suspicious circumstances.